Origin: There are at least 70 species in this complicated genus in North America, ranging through all types of habitats and climates, and varying widely in their habits and appearances. 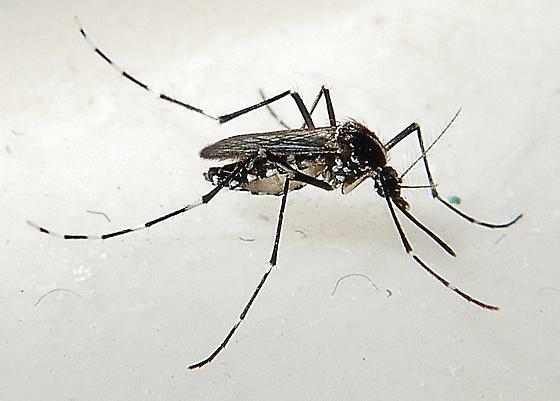 A new import is Aedes albopictus, the Asian Tiger Mosquito. 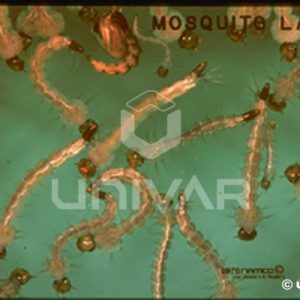 Biology: This is one of the most important groups of mosquitoes in the world, as a principal vector of Yellow Fever, Dengue, and Encephalitis. Many of the species breed within small, temporary pools such as tree-holes or small containers, while others are found in larger ponds or marshy areas. In the temporary water environments the eggs may be laid by the female well in advance of the water’s presence, and the eggs then hatch once water fills the cavity. 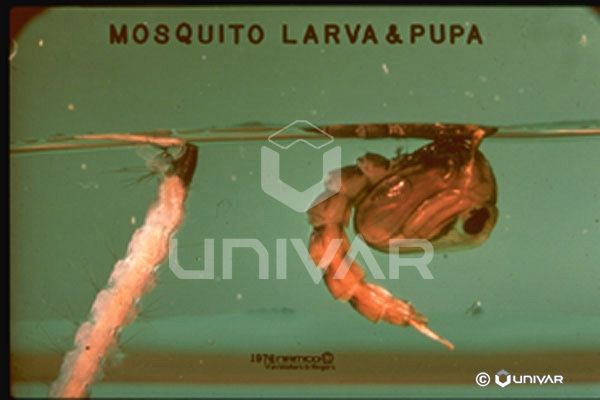 Identification: It is difficult to give a short summary that would allow identification of a mosquito to this genus. 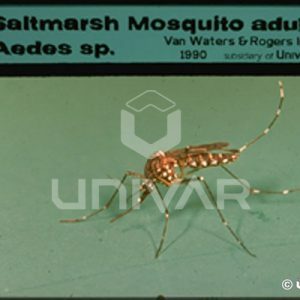 Many of the species have black and white banded legs or tarsi, many of them have patterns of black and white hairs on their dorsal thorax, as well as black and white patterns of scales on the dorsal abdomen. 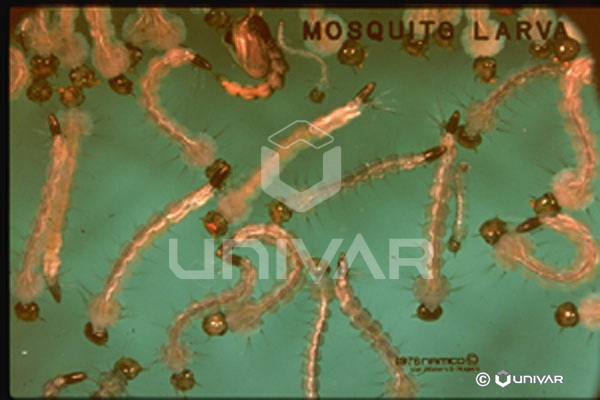 The patch of hairs immediately behind the spiracle on the side of the thorax (post-spiracular bristles) is present in about half of our species and absent in about half. 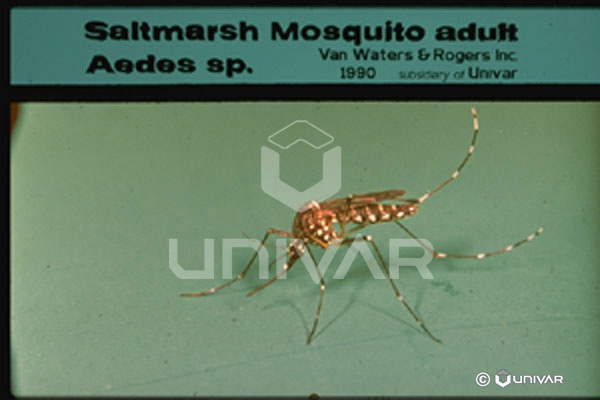 For proper identification you should refer to an authoritative text such as “Identification and Geographical Distribution of the Mosquitoes of North America”, by Darsie and Ward. Characteristics Important in Control: Habitat modification is important for those species which breed in small, temporary pools of water. Tree holes can be permanently filled or drained to eliminate future potential, and buckets, cans, or tires around urban areas should be drained and removed. 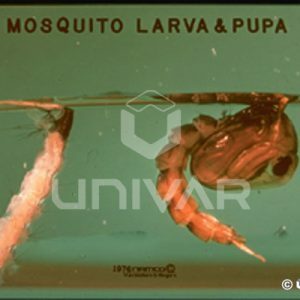 Larval control in permanent bodies of water can be accomplished with surface applications of oils or films, bacterial products or growth regulators, or the use of mosquito fish.